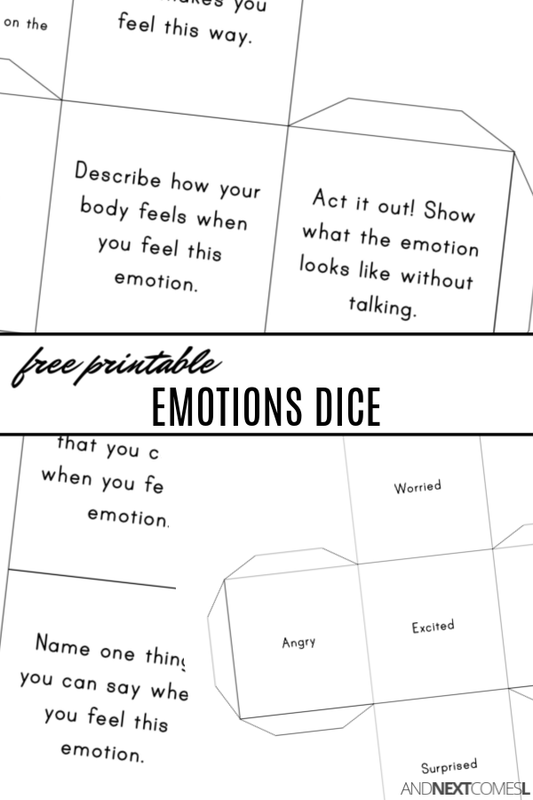 Teach your kids how to talk about their emotions and feelings using this free printable emotions dice game. We're big into talking about emotions lately. Yep, we're those weirdos that loudly proclaim how we are feeling, why, and how we can tell we're feeling that way when in front of our kids. It's all part of our efforts to show our kids how to identify our emotions and express them. To help them build an emotional vocabulary. And to show them that we all feel negative emotions too. It's a way for us to model healthy ways to cope with those big feelings. 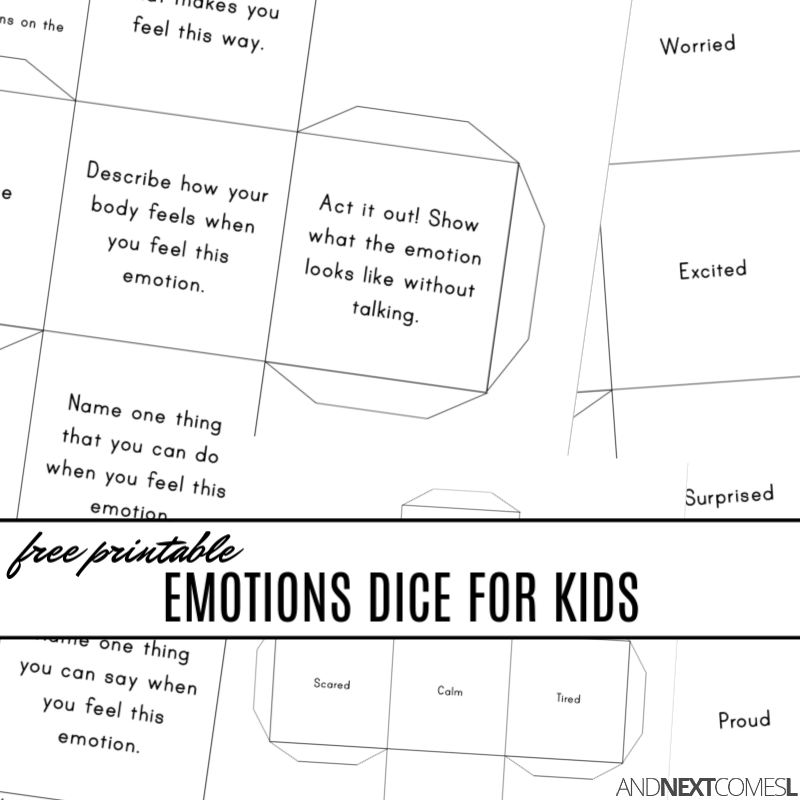 We supplement all those verbal exchanges and modeling with fun activities, like this free printable emotions dice set. It's a great way to get the conversation going about different emotions, what they look like, and how to cope or manage those emotions. This printable includes three dice: one with prompts and two dice with emotion words. Both emotion words dice include a mixture of positive and negative emotions. To play, you'll use only one of the two emotion words dice. Simply roll the emotion words dice and the one with the prompts. Then answer the prompt you rolled using whatever emotion was rolled on the other die. So for example, if you roll "Name one thing you can say when you feel this emotion" and "tired," then you could answer the prompt by saying, "I'm so tired!" or "I'm exhausted!"